Law Web: When landlord can be denied eviction decree on ground of bonafide need? When landlord can be denied eviction decree on ground of bonafide need? 7. The view that we have expressed can be supported by a decision of this Court in Jaipur Development Authority v. Kailashwati Devi - MANU/SC/0819/1997 : (1997) (7) SCC 297." 63. The Trial Court, in the present case has considered the issue of bona fide requirement and comparative hardship in a composite manner rather than consider the two aspects separately. 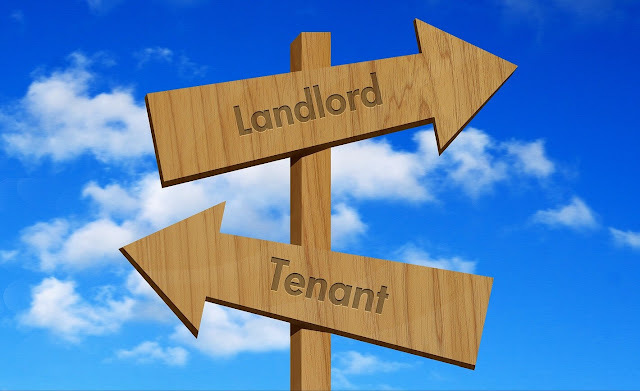 The Trial Court, failed to appreciate that to begin with, it has to be determined whether the landlords have made out a case that the suit premises are required by them reasonably and bona fide. Upon record of satisfaction in this regard, the Trial Court should have then adverted to the predicates of Section 16(2) of the Rent Act, which mandate that no decree of eviction shall be passed on the grounds specified in Section 16(1)(g) of the Rent Act, if the Court is satisfied that having regard to all the circumstances of the case, including the question whether reasonable accommodation is acquired by landlord, greater hardship would be caused by passing a decree than by refusing to pass it. There is accordingly, clear failure to exercise jurisdiction under Section 16(2) of the Rent Act, by confusing and mixing of two issues of reasonable and bona fide requirement and comparative hardship into one. The entire reasoning of two Courts is that the landlords are the best judges and the final arbiters in matters of reasonable and bona fide requirement and further that since the tenant Gujar has two rooms in Namdev Cooperative Housing Society, the respondent-landlords will suffer greater hardship. The landlords are hoteliers having Hotels like Blue Star and Lucky Restaurant at Mahabaleshwar itself. The landlords and their family members are engaged in several businesses like STD Booth, sale of handicrafts etc.. One of the landlords has been the President of Municipal Council of Mahabaleshwar. The record indicates that the family members of one of the landlords have served in Municipal Council in some capacities or the other. In contrast, the tenant Gujar, who resides in suit premises No. 1, is engaged in sale of 'Panipuri' and other road side snacks. The tenant Panhalkar is engaged in sale of handicraft items through suit premises No. 2 which admeasure around 40 sq.ft. Both the tenants have deposed that despite best efforts, it is not possible for them to acquire other premises. There are several premises in the occupation of the landlords which the landlords did not even bother to disclose in the plaints. In these circumstances, even if the issue of comparative hardship was required to be decided, the same would have to be answered in favour of the tenants. In any case, by ignoring of such relevant and vital material on record, the Courts could not have answered such issue in favour of the landlords. 77. There is yet another significant aspect in the context of order of eviction under Section 16(1)(k) of the Rent Act. On 6 August 2002, the tenants lodged the complaint to the Municipal Authorities that the landlord Baitulla Shaikh was deliberately indulging in weakening of the walls of the portion of House NO.86, in his possession, with the objective of weakening the entire structure. Based upon such complaint, on 29 August 2002, an inspection was held by the Municipal Authority. Upon finding some merit in the complaint of the tenants, the decision was taken to issue appropriate notice to the landlords Baitulla Shaikh and C.K. Aris, Hamid. Pursuant to such decision, the Municipal Authority, by notice dated 29 August 2002, notified the landlords that during inspection it was revealed that the landlords are illegally and unauthorisedly weakening the walls of House No. 86 and that in future, if the wall collapses and causes loss to the life and property of the tenants, then, it is the landlords, who will be entirely responsible for the same. The documents like compliant of the tenants, inspection report as well as notice dated 29 August 2002 have been proved in the course of evidence and have been marked as Exhibits 223, 224 and 225. This vital material has been completely ignored by the two Courts. Exclusion of relevant and vital material, is also a species of perversity in the record of any finding of fact. The Court Commissioner was also appointed and even the Report of the Court Commissioner does not make out the case that the premises were required for immediate purpose of demolition. The evidence of the Municipal Engineers as well as the Court Commissioner, at the highest indicates that certain portions of House No. 86 are in need of repairs. But the evidence does not make out any case that the suit premises were required for the immediate purpose of demolition. By virtually ignoring such material, the two Courts have proceeded to make a decree of eviction under Section 16(1)(k) of the Rent Act. This is an exercise in excess of jurisdiction. There is both illegality as well as material irregularity in the record of findings of fact, inasmuch as the Courts have failed to ask itself correct question in the context of 'immediate purpose' and further failed to consider relevant circumstances, rather the two Courts have allowed themselves to be persuaded by irrelevant circumstances.